Simris® Algae Omega-3 and Simris® Select are our first two state-of-the-art product lines from farmed algae. Our products are 100% plant-based, good for the planet and good for your well-being. Fall in love with algae! Algae are plants that live in water. 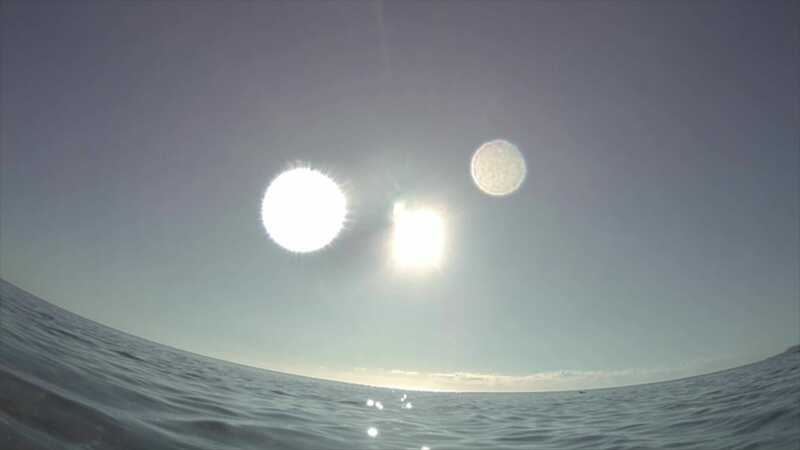 They live on sunlight and form the basis of the marine food chain. They naturally produce many essential nutrients, vital for Life on Earth. 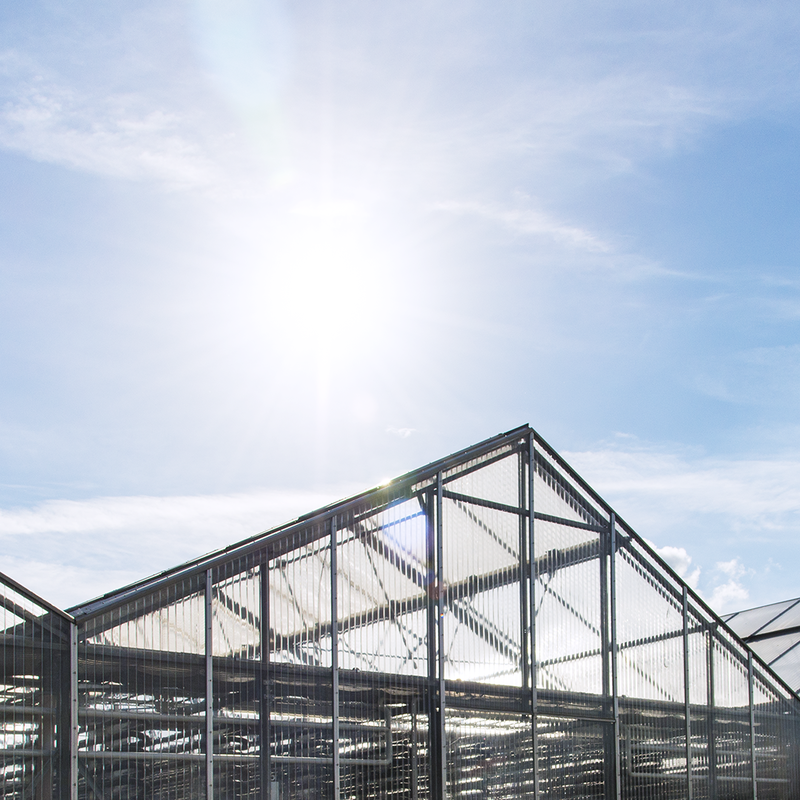 At Simris we farm, grow and harvest algae in sunny Österlen, Sweden. But only a fraction have been researched and characterised today. 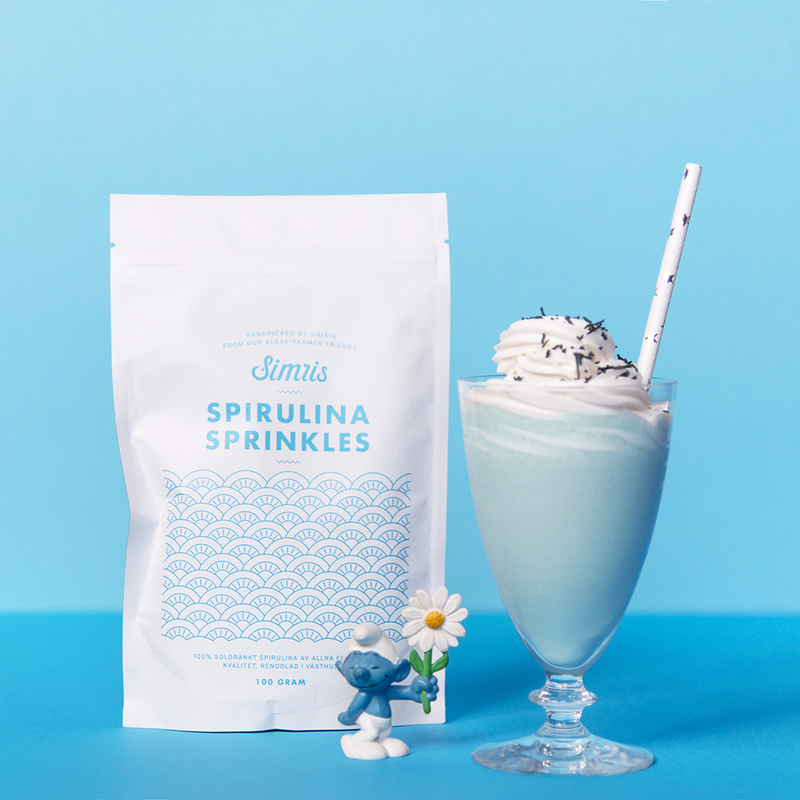 All Simris supergoodies feature different types of algae: some that are already enjoying fame, and others that are yet to become the stars that they deserve to be in the food world. Our products are 100% plant-based and absolutely free from toxins and contaminants. Our technology involves optimal processes in terms of performance, product safety, and environmental concerns, and we guarantee superior product quality. 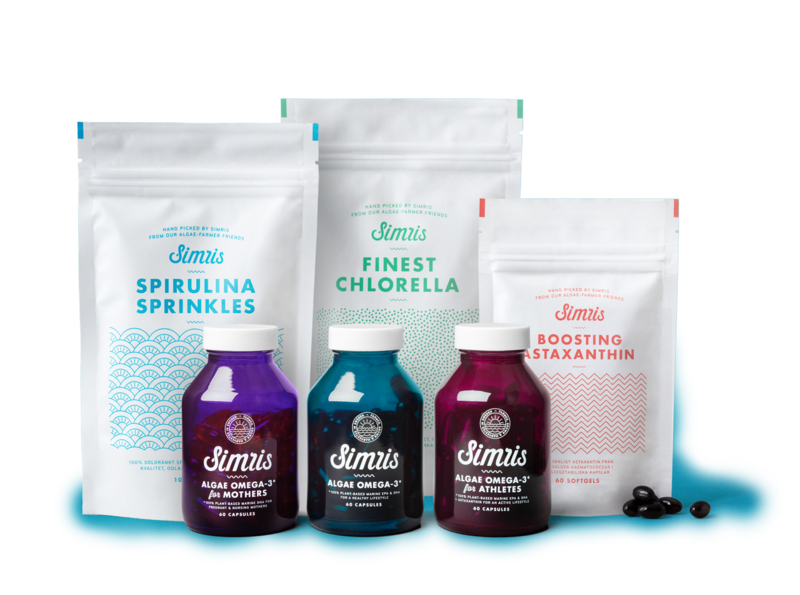 At Simris, we produce and deliver natural food products from locally farmed, fully traceable algae. The algae we grow at Simris are tiny microscopic marine plants, that are packed with healthy nutrients. As algae farmers, we empower healthy and planet-friendly lifestyles, by delivering superior products from algae, the sun-packed gifts of the sea. 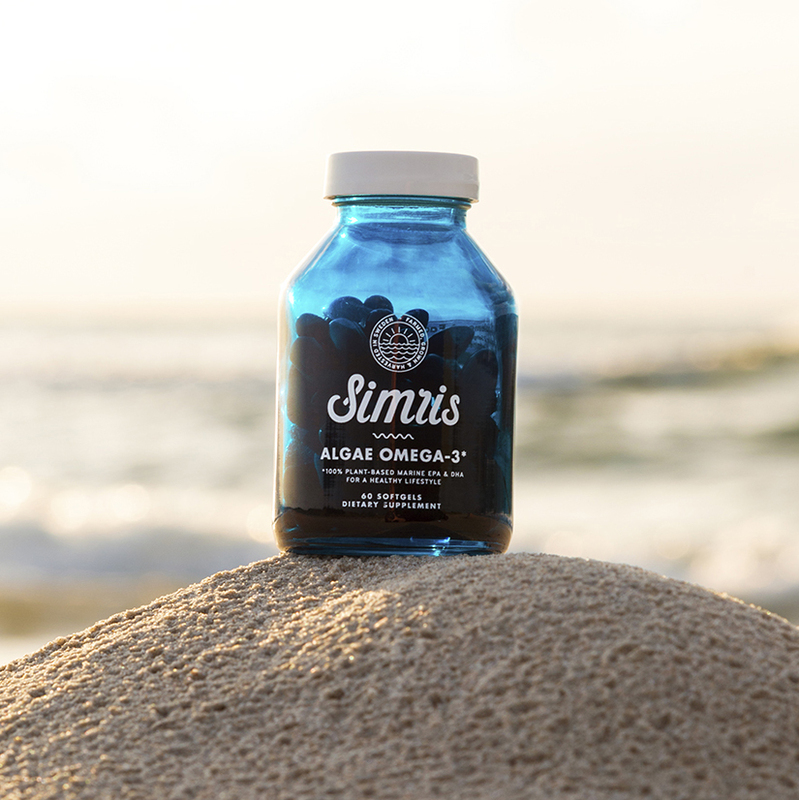 Simris® Algae Omega-3 is a line of unique omega-3 supplements, containing marine omega-3 EPA and DHA from farmed algae. The EPA oil comes from our own farming and the DHA from algae farming in Europe. The products are 100% plant-based and contain the same beneficial omega-3 found in fish- or krill-oil. Simris® Select is a line of superior quality algae-based food products, which we have handpicked from our algae-farmer friends around the world. We know how the best algae are farmed, so we have selected the products we truly liked, for you. Here you find both algae classics like chlorella and spirulina of unparalleled quality, as well as new favourites. Why bother with fish oil when you can get your omega-3s directly from the sun? 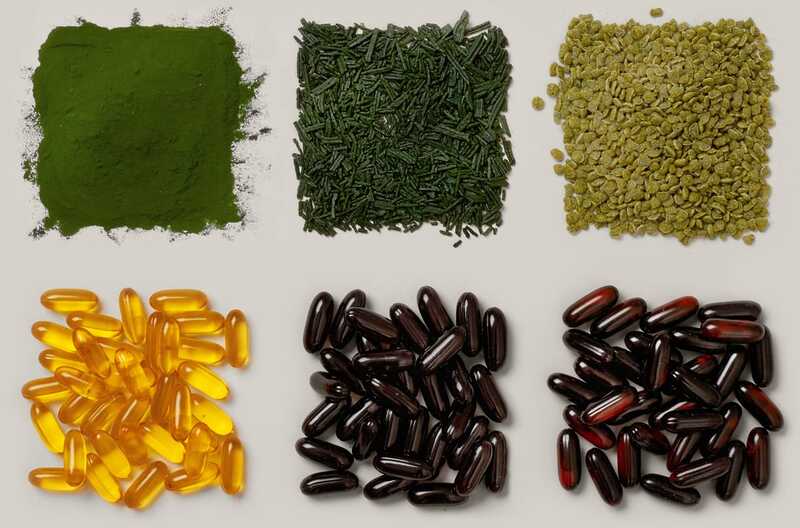 The marine omega-3 oils DHA and EPA found in algae are exactly the same as in fatty fish – because the fish get their omega-3s from the algae in the first place. Crystal clear and super smart!